Needls is a social media advertising company that was born in April 2014 in Toronto, Ontario, Canada. The company was founded by lifelong summer camp buddies Justin Hartzman, Jeremy Koven and Michael Koral. Needls Utilises some seriously advanced filtering to identify targeted business opportunities on Social Media Platforms – Instagram and Facebook for their international clients. Needls targets startups and small business’ that would like to extend their reach to attract more customers from Social Media Advertising. The entire process uses advanced algorithms and completely automates social media strategies. Saving a tonne of time and removing the frustration that can come along with trying to understand the ever-changing online landscape. Needls delivers highly effective targeted adverts to people who are buying on or resulting from Social media ads. Needls calls itself the “Internet’s first RoboAgency”. Effectively taking the hassle out of Social Media Advertising with their high tech platform, you can get started really quickly by creating a free account and setting up your first Advert for free. The founders have been working in the online space for a long time and have created a whole string of successful internet business’. The inspiration for NeedIs came when Hartzman realized that people ask for recommendations for local services on Facebook all the time. From the very beginning, NeedIs has utilized automation throughout their company to analyze Facebook feeds. The company was a huge success from the very beginning and their revenue has continued to blow up since then. Going from $0 to $2 Million in just a year. In the initial instance, NeedIs was a lead generation company that searched for leads with an intent to purchase. The company got a lot of interest from the very beginning and got a fair bit of start-up capital. 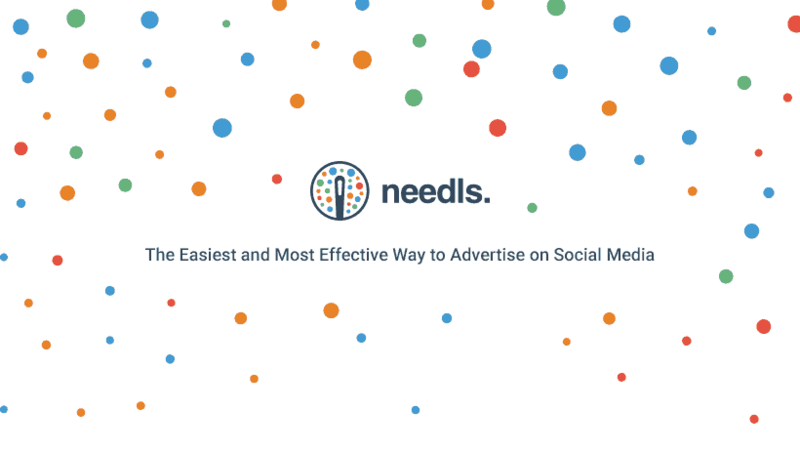 Needls is a viable alternative to pulling your hair out trying to get your Facebook adverts approved and up and running. The offer an automated and accurate service for small business all over the globe that want to take advantage of social media marketing but don’t have the deep pockets required for hiring a Digital Agency. Needls uses the online space to attract eager customers automatically. Due to the exponential success of Needls, the team has expanded from the three founders to a team of around 17. Their mission is to “take the social media advertising world by storm”. The team is continually expanding and they are always on the lookout for online innovators to join the Needls family. The Needls Team seem like a vibrant bunch of young internet go-getters. I love their relaxed style and fun, but hardworking ethos. The testimonials section at Needls looks very impressive. They pull the results from Google, which gives the ratings more weight. Their customers all seem incredibly happy with their instant online chat service. They say that Needls are very helpful when it comes to ironing out any issues that may arise. Many of their customers have used other Advertising Agencies and say that Needls is by far the best. The support team seems to be hands down the best around, which is great news for a digital agency serving the globe. Their customers seem to be able to auto split test and run their social media adverts reaching thousands of people simply with Needls. I had a chat with Needls support team about a campaign that I am personally running and I chatted with Sebastien, Director. of Sales. He seemed to really feel my pain when it comes to setting up Facebook adverts. I feel that they understand me and can help me to really get my adverts up and running successfully. They also knew my location (I guess via my IP) which made me feel safe when they translated their pricing from USD into GBP. To get started with Needls seems straightforward. They explained to me that they are an “overlay on FB and Instagram. We utilize all of what they have to offer and make sure it is done in the right way to create the best results”. 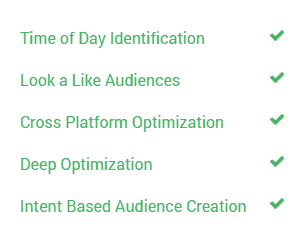 And that their area of expertise lies in the “Targeting and Optimization side of things”. They analyze a whole plethora of data to find out more about their customer’s industry and business. As their name suggests they search for people who have the “Need” for your product or service. Then they build up a clear image of your key customer avatar demographics so that they can fully visualize the type of person that you are advertising to. You can get started with Needls for $300 per month. For that, they handle everything to do with your Facebook advertising campaign. They can get you up and running inside a day, that includes split testing and everything required to run your FB advertising campaign. When setting up my campaign ( I actually NEED this platform to advertise a project of mine), I loved that the team felt like they were there holding my hand. Although they have extremely helpful and friendly staff – Needls also have a comprehensive area whereby you can read guides and watch videos so that you can make the most of both Needls and Facebook. There are so many guides and workbooks, it really is like a university! Needls has two disti nct packages. One for business’, start-ups and individuals and the second is called Needls Agency and this is for digital agencies to utilize their powerful platform. The prices mentioned on their pricing page are for the platform itself, however, they do advise that you have $300 to put aside for ad spend. They also offer “landing page creation” from their partner LeadPages. Needls Agency Package – All the features of the $100/month plan PLUS, The needls.AGENCY dashboard, 1-click client reports (branded with your logo), Multi-user support, Direct customer billing and Multiple client conversion tracking. You can also upgrade to white label option – where you can add your own brand into the platform and take credit for their incredible platform. Affiliate Program – there is a great deal where you can invite friends to the platform. You get $25 ad voucher and your friend gets $50 – how awesome is that! Needls seems like a very approachable and exciting company that uses the latest tech to analyze data and get your Facebook Ads working. For $300 per month minimum spend you get the full package. The process is really simple and takes all of the frustration out of Social Media Advertising, which can be a really confusing landscape to navigate. Sebastian knew when I had filled in each step in the simple 4-Step process to set up my ad campaign. I found the system super easy to use compared to trying to navigate the mammoth array of features in Facebook Ads manager. I have a lot of confidence in their platform and am super excited to run several projects through it to see how I go. Thanks for creating such an awesome platform guys!